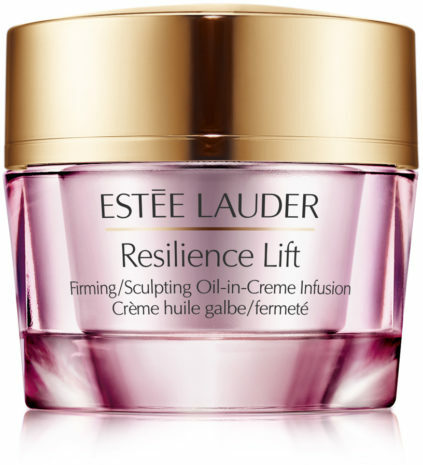 Learn all about Estee lauder resilience lift reviews, ingredients and cost. The history of Estee Lauder goes back to 1946, when the woman who created the brand (and for whom it is named) began selling creams and lotions made by her chemist uncle. From its humble beginnings, Estee Lauder has grown to become a multibillion-dollar company whose products are sold all over the world and advertised in just about every fashion and women’s lifestyle magazine available. Featuring a light-responsive enzyme (Plankton Extract), mineral (Malachite) and plant extract (Mimosa) to help skin amplify its natural collagen and elastin production. Over time, skin’s strength, resiliency and volume are renewed and you’ll see a remarkably younger, revitalized look. Estee Lauder offers an unparalleled collection of skincare, makeup, and fragrance products, including bestsellers and proven solutions. As one of the world’s most beloved and respected brands, the Estee Lauder name is recognized in over 100 countries as a symbol of quality, luxury, and promises kept. Resilience Lift is the skincare range of Estee Lauder targetting the “mid-life” women, whose skins experience “dullness, dehydration and gradual breakdown of collagen and elastin, resulting in sagging skin”. Resilience has always been above all a lifting/firming range. But with this update, Estee Lauder comes with a new concept a weak support structure not only causes skin to sag, but also prevents skin from absorbing and reflecting light the way young skin does, resulting in a loss of youthful vitality and radiance. A face and neck cream for normal to combination skin types to give the complexion a youthful, lifted, firmer look. Apply every morning after your repair serum. At night, pair with Resilience Lift Night Firming/Sculpting Crème. To use, apply the cream to clean, dry skin after using any repairing serum in your skin care kit. Use a small dollop of cream and swipe it over the skin, working from the forehead, down over the face, and then to the neck if desired. Apply the nighttime cream in the same manner after you have performed your typical cleansing ritual. Estee Lauder Resilience Lift reviews did not report any instances of irritation with the use of the cream. To provide the best broad-spectrum protection, any SPF-rated product should be rated 30 or higher (and this is only rated SPF 15). Although this emollient moisturizer contains some good ingredients for dry skin, the plant extracts and antioxidants it contains won’t remain stable due to the jar packaging. As for Lauder’s claims about this product, there is no reliable research proving plankton extract and the mineral malachite can stimulate collagen and elastin production. Even if they could, the lack of reliable UVA protection in this product would undermine any repairing effect, leaving skin’s supportive elements vulnerable to more damage. Besides, stimulating skin’s collagen and elastin with the goal of lifting skin does not work if your sagging is from gravity, bone loss, or other age-related changes, which are beyond the control of skin-care products. There is no research showing that the mineral malachite and mimosa can do anything anti-aging for your skin, although there is some intriguing research on the wound-healing properties of mimosa bark; however, it’s important to note that wrinkles aren’t the same as wounds. The wound-healing properties are due in part to the plant’s high tannin content, yet here’s the irony: Tannins can have a constricting effect on the skin, causing irritation that may hurt its ability to look and act younger. Estee Lauder Resilience Lift contains octinoxate 7.5% and octisalate 3.5%, both of which protect the skin from UV rays and the free radicals they contain, which have proven to cause premature aging. It also contains polyethylene, which encourages the skin to shed dead cells that cause dullness and discoloration. Silica works to heal minor skin damage and imperfections on the surface of the skin, which improves its appearance overall. The sunscreens contained in Estee Lauder Resilience Lift offer SPF 15, which may not be effective, enough protection for those with lighter skin. Further, the formulation does not contain any pore-clogging oils, which is beneficial from those who still experience acne breakouts as a result of ingredient allergies that are commonly found in skin care. The formula is protected against microbiological growth with Potassium Sorbate and Phenoxyethanol, helped with Disodium EDTA, and glycols as co-preservatives (Pentylene Glycol, Hexylene Glycol, Ethylhexylglycerin and Caprylyl Glycol). Lauder also uses Arch Biovert (Lacto peroxidase (and) Glucose Oxidase (and) Glucose), claimed to be a ““Preservative-Free” product protection, safe, effective, natural”. The formula also contains Citric Acid and Sodium Hydroxide as a pH adjuster, and BHT as an antioxidant, and Diethylhexyl Syringylidene malonate as light-protectant. Diethylhexyl Syringylidene malonate is sold by EMD Chemicals under the trade name Oxynex ST. It is claimed to “consist of a unique substance which, thanks to its specific structure, protects light-sensitive ingredients and simultaneously ensures light-stability. This active ingredient is called Diethylhexyl Syringylidene Malonate (DESM) and was initially designed as a light stabilizer. In addition to a benzylidene malonate function, DESM has a sterically-stabilized phenolic function that renders it a very potent antioxidant. Both functions aid the stabilization of light-sensitive molecules. Oxynex ST Liquid can improve the stability and efficiency of your products! It provides highly effective stabilization of colorants, fragrances, antioxidants and UV filters”. Estee Lauder Resilience Lift comes in three sizes: 1.0 oz., 1.7 oz., and 2.5 oz. The price range for these products is about $50-$100, but you may be able to find them for a more affordable price in stores or on discount skin care sites that offer instant coupons or membership savings.